Crimson is a color. It’s a kind of deep purplish red. 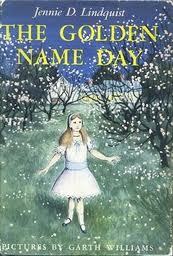 But as much as I like those, the real reason behind the name is that it comes from my favorite book as a child. In The Golden Name Day, by Jennie D. Lindquist, the characters decide to start a group in order to keep themselves busy. 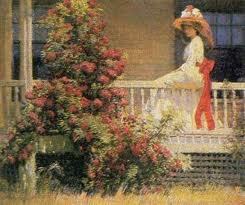 They liked flowers, so they decided to call themselves The Crimson Ramblers. So, when deciding upon a name, I thought it was cool to join the group I always wished I could join. So, Nancy, let’s go rambling.